The pilot project was supposed to last three years. Lisa Macleod, Ontario's minister of social services, makes an announcement on welfare rates at the Ontario Legislature in Toronto on Tuesday. 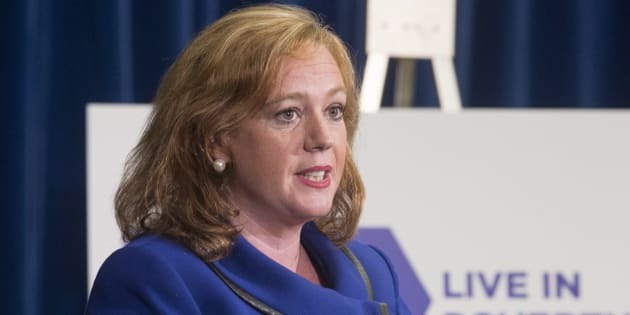 Ontario's new government will cancel the province's experiment with a basic income program, minister Lisa MacLeod announced Tuesday. The pilot project, which reached full enrollment in April, was supposed to last three years. "I don't know if I should feel anger or despair right now," participant Jessie Golem told HuffPost Canada. "I feel like the rug was just pulled out from underneath me." The 29-year-old previously worked three jobs to pay her bills in Hamilton, Ont. Basic income allowed her to focus on her full-time work at a non-profit. "I'm heartbroken for all of my friends who were struggling and had a moment's reprieve because of the program," Golem said. "This government is so short-sighted." Twenty-nine-year-old Jessie Golem was working three jobs to pay the bills until she enrolled in Ontario's basic income pilot project. The Progressive Conservative government announced Tuesday it would cancel the experiment. MacLeod said the "broken" program isn't working. Asked by reporters how she knows the program isn't working if the data hasn't been studied yet, MacLeod said, "for the amount it was costing the province of Ontario ... it was certainly not going to be sustainable." The project was budgeted to cost $150 million over three years. In April, a spokeswoman for now-Premier Doug Ford said the project would continue under a Progressive Conservative government. Participants were all living on less than $34,000 individually or $48,000 as a couple. Single participants received up to $16,989 annually and couples could get as much as $24,027. People earning income saw this amount reduced by 50 cents for every dollar earned. Participants with disabilities are eligible for another $6,000 per year. Originally, the data collected over three years was going to be studied by a third-party team of researchers. They were going to look at the impact on people's physical and mental health, food security, stress and anxiety, housing stability, education and employment. The pilot project was set to be one of the largest-scale basic income experiments in the world. Evelyn Forget, an academic who uncovered documents about a forgotten minimum income experiment in Manitoba in the 1970s, said the government's decision is unfortunate. 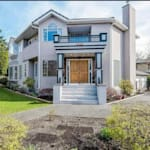 "This project wasn't about spending more money; it was about spending money in more effective ways. It's no less than a tragedy," she told HuffPost Canada in an email. "Ontario has unfortunately opted to stay with an ineffective, patchwork system that allows too many people to fall through the gaps." MacLeod also said that the government will increase Ontario Works and Ontario Disability Support Program payments by 1.5 per cent, rather than the planned increase of 3 per cent. "This is not a plan for savings," MacLeod said. "This is to put people back on track ... The best social program is a job, for those who can get one." Seventy per cent of the people receiving basic income have a job of some kind. After her announcement, some people could be heard clapping while others yelled that the decision was "shameful."